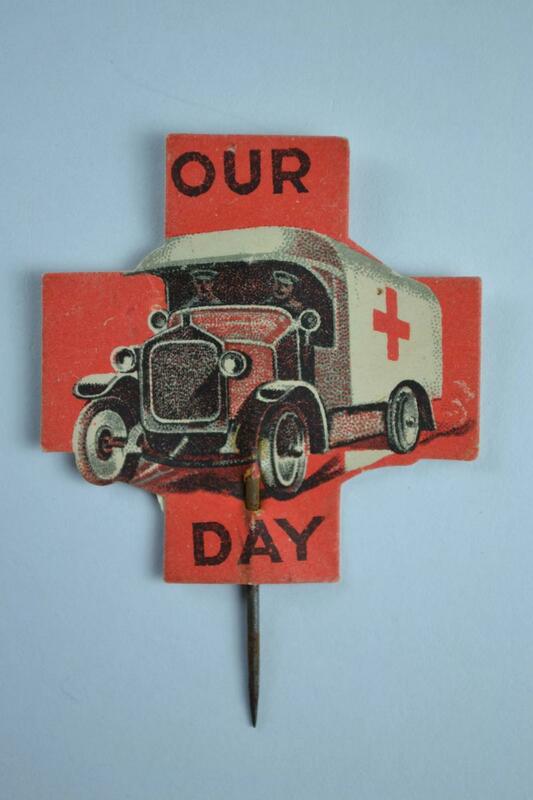 Paper flag mounted on metal pin sold to raise funds for the British Red Cross during the First World War . The flag is in the shape of the Red Cross emblem. At its centre is an illustration of a Red Cross motor ambulance. The words 'Our Day' are printed in black on the flag.